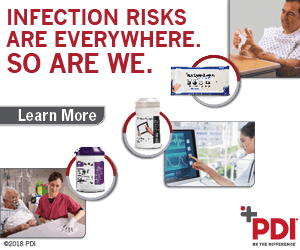 To help reduce the spread of preventable infections and to empower clinical staff, visitors and patients to play an active role in hand hygiene, PDI Healthcare developed an infographic that explores the omnipresence of bacteria in healthcare settings. Keeping everyone safe requires all hands on deck! Download the infographic. To download the PDF for ‘All Hands On Deck’, please provide us with your contact information.